Marisa Merliss is a fitness and wellness professional coming from a background as a Pediatric Registered Nurse, Professional Dancer and Fitness Model. After a traumatic fall early in her dance career followed by multiple surgeries, she endured debilitating pain on and off for years. In an attempt to heal and get to the root cause of her pain Marisa explored alternative healing modalities and discovered The Melt Method by Sue Hitzmann (﻿www.meltmethod.com﻿) and BodyArt by Robert Steinbacher (www.bodyart-training.com) After a profound healing experience working with Sue Hitzmann, she found strength and stability through practicing BodyArt, and has been back to full activity ever since. 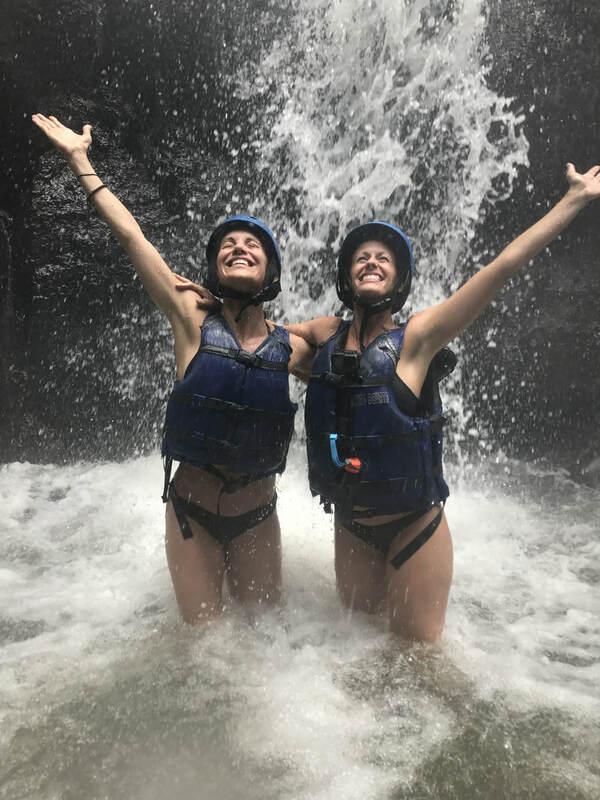 These life changing experiences led her to become a Melt Method Instructor, Body Art Master Teacher, Certified Pilates Mat Instructor, and NASM Certified Personal Trainer. 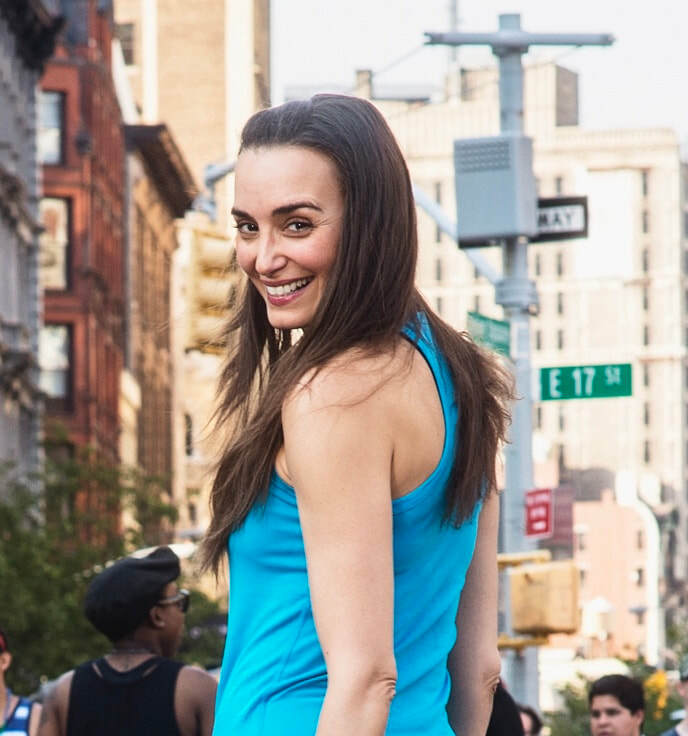 Marisa currently teaches classes in New York City at Core Pilates NYC, Body & Pole Studio, Lifetime Sky and is working closely with Sue Hitzmann to develop and offer Melt Method Workshops to the Professional Dance and Broadway Communities. In addition to teaching, Marisa hosts workout videos for Qinetic Live and does freelance fitness programming. She is passionate about helping others live a pain free life and has learned to weave her healthcare/wellness knowledge with a love for fitness to promote optimal physical performance, injury prevention, and recovery. Marisa is a graduate of the University of Connecticut with a Bachelor of Science in Nursing and a Minor in Dance. Go to www.marisamerliss.com to learn more. Becca Pace is a small town girl who has been living in NYC for nearly 15 years. Coming from a theatrical and dance background, she performed in musicals for most of her life. When an opportunity was presented to her to teach group fitness, she jumped in head-first and ultimately transitioned full-time into teaching fitness 5 years ago. Realizing her passion for teaching, Becca initially lead classes in central park. When Becca was first exposed to bodyART and its creator, Robert Steinbacher, a new focus and love for health and wellness emerged. She connected wholeheartedly to the message of bodyART and the benefits this training system has for all fitness levels. She is thrilled to be able to share this smart, functional, healing way of moving the body in NYC and now in beautiful destinations all over the world with Marisa and REVIVE Restorative Retreats! Becca also teaches for Equinox gyms; bodyART at Broadway Dance Center, and is a founding instructor for Brrrn, a new cold-temperature boutique gym in NYC. She is affluent in Barre Fitness methods, and created her own 'Barre Harmony' program for www.DailyBurn.com. Becca is an ACE certified personal trainer; barre certified, and certified in multiple levels of bodyART. Becca can also be seen on www.dailyburn.com/365 as an instructor for the daily live streamed workouts! 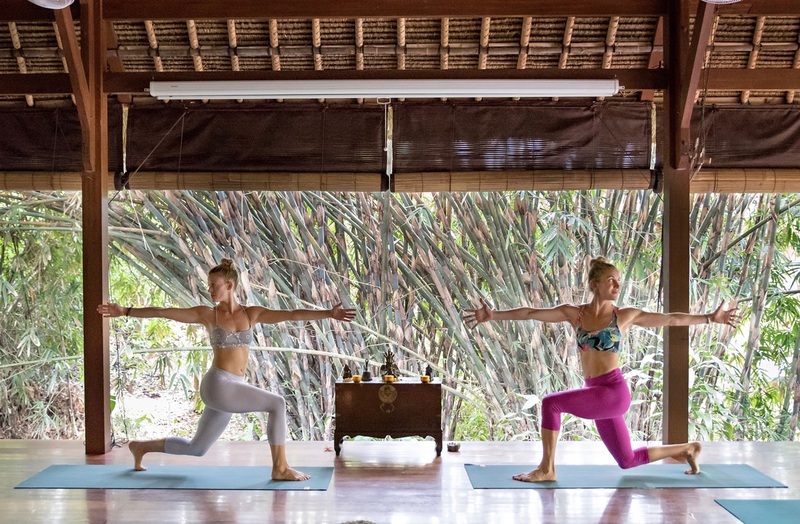 Becca could not be happier to team with Marisa Merliss to share these two amazing, restorative ways to balance and heal the body and mind all over the world. Meet guest trainer for our upcoming Bali retreat, Kim Villanueva! Fitness and wellness entrepreneur, trainer to celebrity clients and small business consultant. Kim Villanueva inspires with her 20+ years of fitness experience and shares her view that Pilates and The MELT® Method are the foundation of everyday living and moving which should be considered a part of your daily routine to become more grounded, and to get out of and stay out of chronic aches and pain. Kim successfully founded, owned and operated Core Pilates NYC from 2002 – 2017 growing the business from 450 square feet to 4500 square feet. In that time she also cultivated a successful teacher training program teaching Pilates Instructors both nationally and internationally.